We sure do! There's just something so special about roasting a marshmallow over a fire and pairing it with chocolate and graham crackers. It just screams summer! 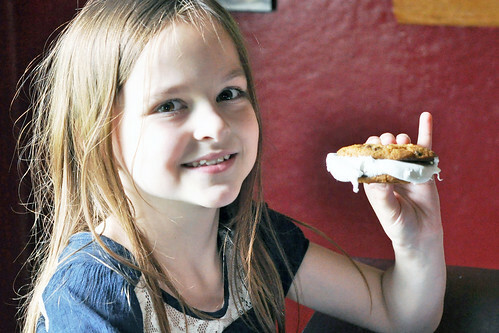 For our family, eating S'mores is a year-round activity. 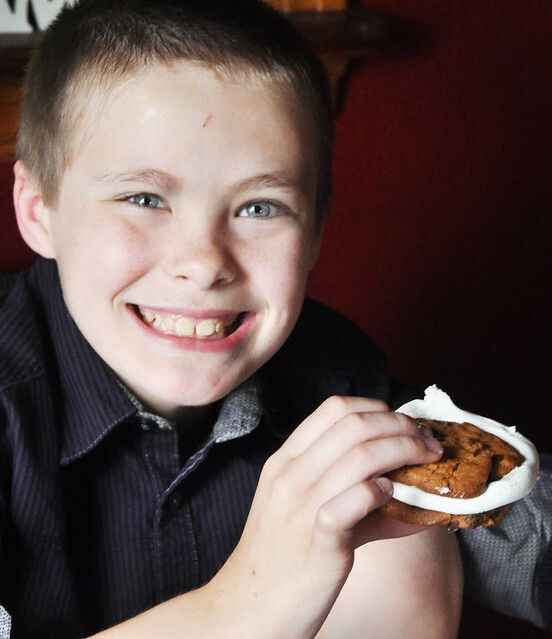 Even though we perfected our Microwave S'mores, they're just not the same! We tried roasting the marshmallows inside, but they don't have the right taste. They're still good, but we needed an alternative to our favorite campfire snack. We needed something a little different. Our solution? 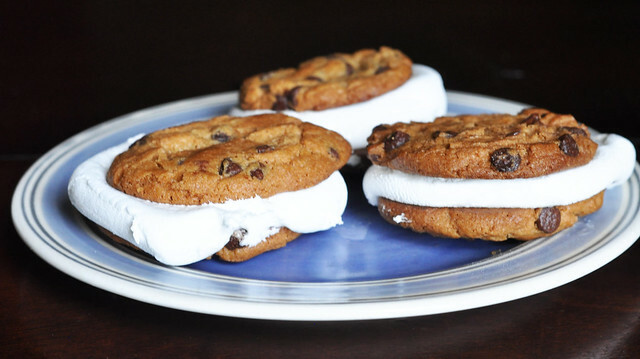 Chocolate Chip Cookie S'mores! It's a great twist on the traditional S'more recipe! You just need two simple ingredients! Making them is so easy! 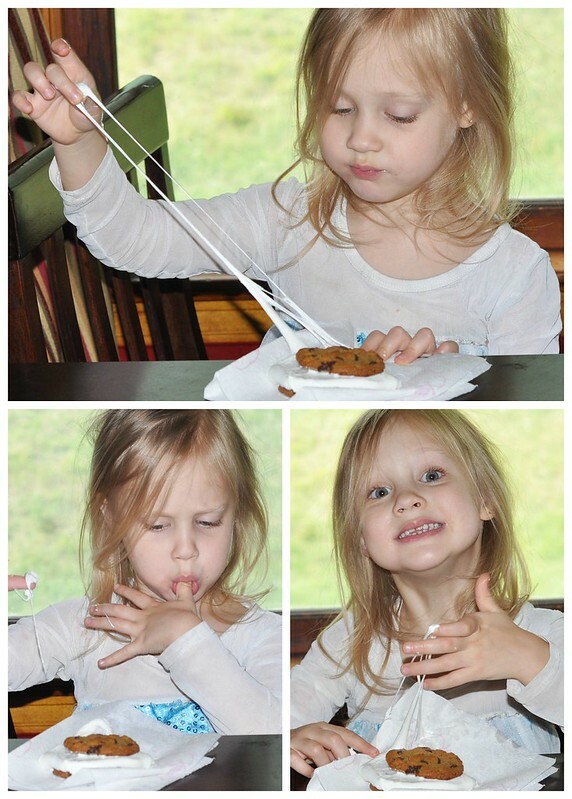 Quite possibly easier than traditional S'mores! 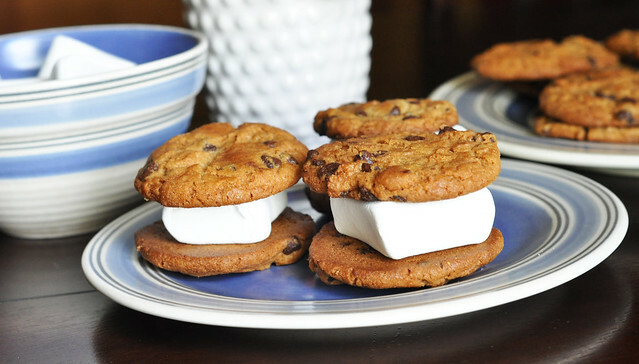 Step One: Make a cookie sandwich by placing a marshmallow between 2 chocolate chip cookies and place on a microwave-safe plate. Step Two: Microwave for 15-20 seconds. Keep a close watch, because the marshmallows will expand! They're quick and easy, and everybody loves them! They're really good! We tried them with a Hershey's chocolate bar, but it was just a bit too much chocolate. I can't believe I'm even saying that! HA! Mine definitely do, and they love to help make them! This will be mine and Abby's next baking project! These look so yum!!! We love them! If you want to kick it up a notch, add a Hershey's chocolate bar, too! Oh my goodness this looks delicious! Yummy! 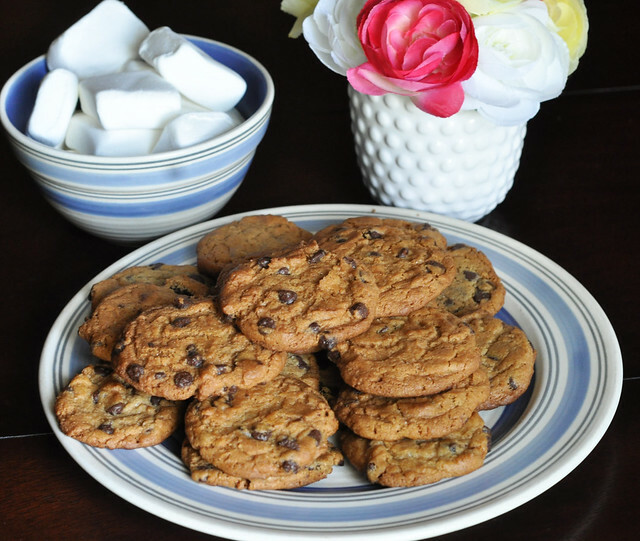 What is a great chocolate chip cookie recipe? I have not found one that I really love yet. This time, I just used the Betty Crocker Chocolate Chip Cookie Mix. I once made a really good chocolate chip cookie by mistake. My butter wasn't melted enough when I put it in with the ingredients, and I wasn't thinking when I put the entire bowl in the microwave for a few seconds to finish melting the butter. I ended up melting all the chocolate chips into the mix! Instead of throwing it out, I added more chocolate chips and some white chocolate chips, and they turned out delicious! Oh my goodness this is the best idea ever! So simple, but so good!!! These look amazing!! There are so many options for smores! There are! We've tried them with Nutella and Reese's Spread, too. SO good!